The RSFiles! Most Popular Files module allows you to display a list of the files which have the most hits. 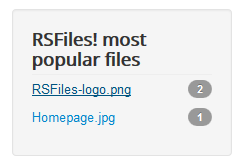 This is available for download in My downloads area > RSFiles! - view all plugins and modules. To install the plugin simply head to Extensions > Install / Uninstall, browse the file and click Upload and Install. 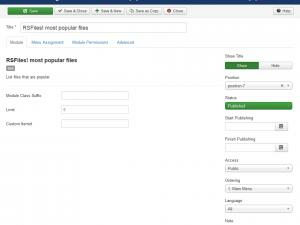 Itemid: here you can place the ID of the List files menu item that you are using on your website. 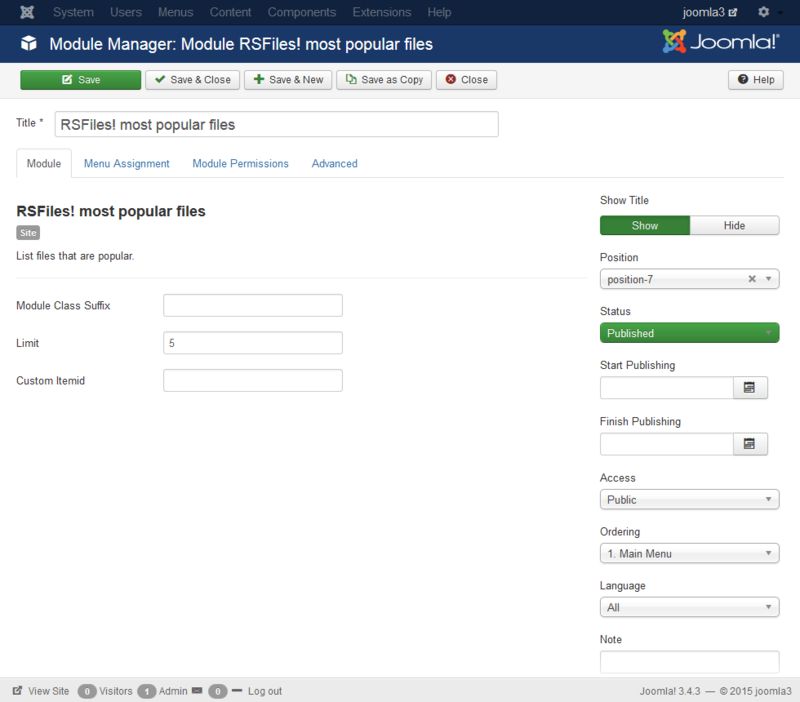 When clicking on a file within the module, the user will be redirected to an instance of the List files menu item baring the same settings as the one you are currently using. Note: The files will only be displayed if the current user or guest has enough RSFiles! viewing permissions.